This tea from China’s Fujian province is known for its light, sweet cup with a fragrant orchid finish. When steeped, mature semi-fermented leaves expand to a full, lively cup with a little bit more body than a green tea but less body than a black tea. Rich in antioxidants, Wu Yi has been shown to promote healthy teeth, skin and bones, to lower cholesterol and to aid in digestion and weight loss. There is something about sipping on Oolong that makes me feel so pampered. Is it the taste? The mouthfeel? The aroma? It’s probably a combination of the three. The aroma of this Wu Yi Oolong is toasty with notes of fruit in the distance. This fragrance translates well into the flavor, because there is a toasty quality to the flavor with a hint of fruit in the background. It tastes a bit like grilled or roasted fruit that has been caramelized to bring out the fruit’s natural sweetness. It tastes a bit like a combination between peach and plum. There is a soft, silky mouthfeel to this tea that is similar to a green Oolong, however, this Oolong doesn’t have the same buttery taste to it. Where the buttery taste would normally be experienced, I taste the sweet, toasty caramel notes. It would be difficult to choose which I like better – the butter or the caramel – because both are remarkable in their own way! Just before I reach the finish, I am noticing a bright floral note that is sweet. The light astringency of this tea cuts through that flowery taste just at the finish, leaving the palate feeling as though it has been gently patted dry. The sweet taste of caramelized fruit with a barely-there whisper of flower lingers beautifully in the aftertaste. I highly recommend brewing this tea in a covered gaiwan. This will encourage the tightly wound tea leaves to open and release their fragrance and flavor. The process provides for six very flavorful infusions. I prefer to enjoy my Oolong tea hot – it offers the most flavor when served hot – although this would also make a delicious iced tea… perhaps with a thin slice of lemon to bring out the fruit notes? A spectacular tea experience! 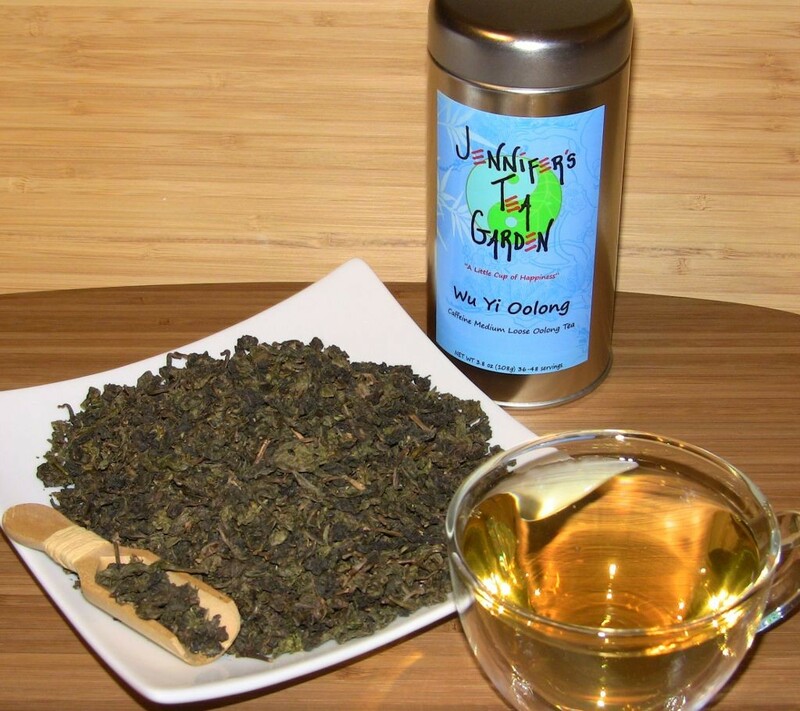 Thank you, Jennifer’s Tea Garden!